Having a clear out, I found two Kodak Photo CDs from way back, I think the dinosaurs had only just died out. Anyway, on OSX, neither Photoshop CS5 and presumably CS6 as well, would open them, and neither would Graphic Converter, which was quite the surprise. Happily, turns out that on OSX Lion and Mountain Lion iPhoto handles them OK, certainly iPhoto 11 or v9. Drag all the .pcd files into iPhoto, add them to an album, and then Shift-Command-E to export them. At full res they turn into 6 megapixel images. 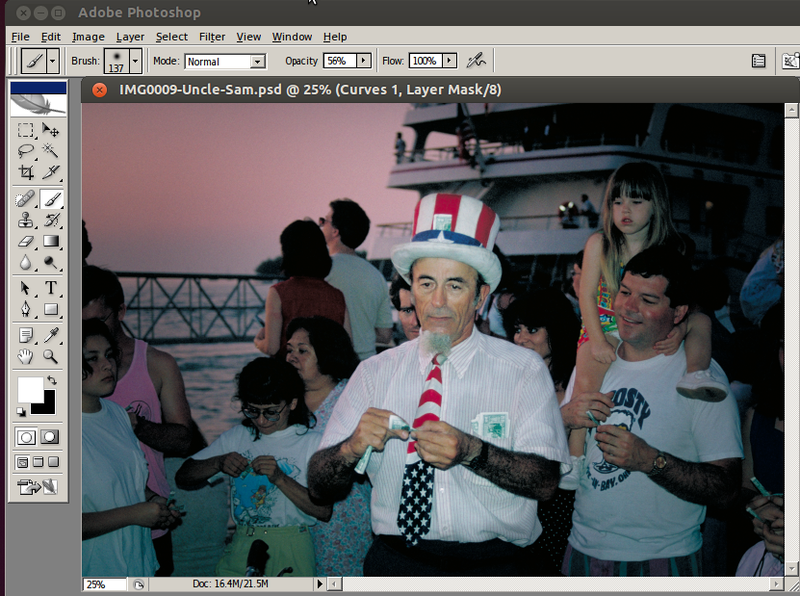 Memo to self: you don't need to spend money on software such as this. 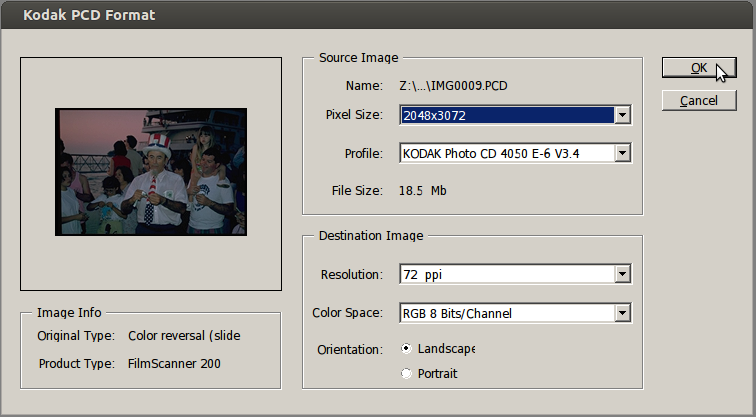 There is a free software called pcdtojpeg for MacOS which worked find for me on MacOS 10.9.3. It's a command-line software which you start from the terminal. Where [PATH] has to be replaced with the path to the executable in the downloaded and expanded pcdtojpeg archive (something like: "pcdtojpeg_1_0_11/Binaries/OS X/pcdtojpeg" depending of the version).